and as well, those actively serving their country. 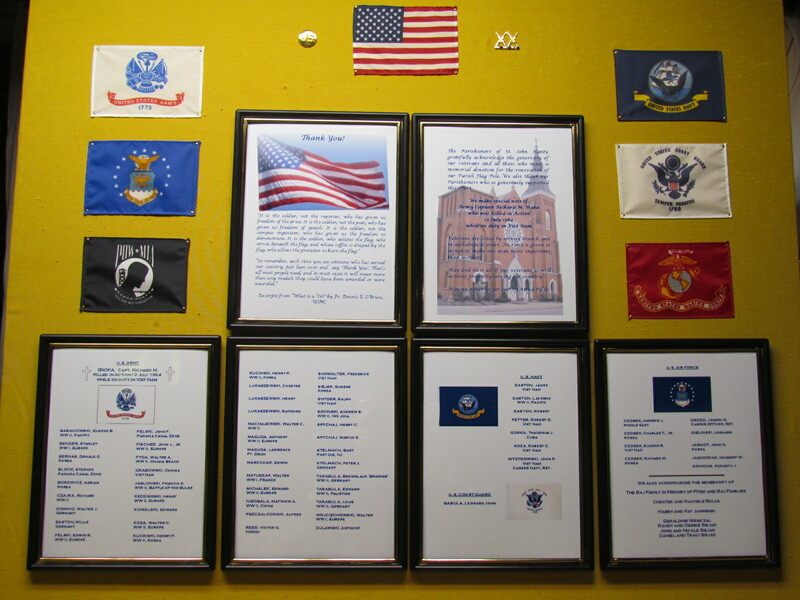 The Honor Roll below is displayed in our vestibule and includes the names of veterans from St. John Kanty…WE THANK YOU FOR YOUR SERVICE! Click on picture to enlarge.